What does it take to become a Certified Iyengar Yoga Teacher (CIYT)? Iyengar Yoga training is considered the most rigorous and most comprehensive in the field. As a contrast to the 200-hour training which is commonplace and standard, usually costing several thousand dollars, graduating dozens of people at a time, many with little prior yoga experience, we build our teachers one by one, over years, not months. The first step to becoming a CIYT is to attend weekly classes and begin to build a steady relationship with a trusted teacher. It also helps to attend weekend Iyengar Yoga workshops, broadening and deepening your studies. Hopefully you are also, by this point, practicing consistently at home, ideally daily. After a year or so of continuous study, you can apply for an advanced studies/apprenticeship program. Those who do not plan to teach, but instead want to deepen their own study and practice are also welcome to participate in the ASP Deep Study track, which includes asana/pranayama, anatomy, and philosophy. Expect to devote 1000 hours to become a CIYT, and many more thousands of hours to progress through higher levels of certification, if you so choose. 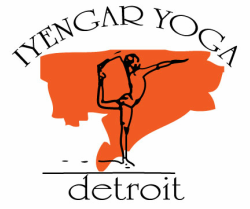 Iyengar Yoga Detroit is committed to meeting qualified prospective teachers financial capacities, and our ASP program is accessibly priced. We believe yoga training should not be limited only to those who can afford to pay thousands of dollars. Contact us to work with your financial capacity. CIYTs continuing their education, and/or preparing for Intermediate Junior I-III certifications are also welcome to attend, and will be appropriately challenged and accommodated. Contact Gwi-Seok if you feel this is the path for you. As BKS Iyengar tells us, "Teaching is a difficult art, but it is the greatest service you can pay to humanity."